If you have been in a car accident, you may be in pain, frightened, and worried. There are many things to handle suddenly: medical issues, fixing your car (if possible), your job, the insurance, etc. If you have been hit or if someone hit you, there may also be legal issues ahead. No matter who was at fault, if there is damage or injury involved, you should speak to an attorney. Because these sudden instances can be traumatic and overwhelming, we have created a simple list of ten things you should try to keep in mind if you are injured in a car accident. If you have been injured in a car accident on a highway or busy street, and if you are able, you need to get out of the way before another accident occurs. Sometimes cars, when damaged, may start leaking flammable liquids, so you need to move away in case there is a fire. If at all possible, try to get your car to the side of the road and out of the way of other vehicles. If you can move but cannot move the car, get out of the way yourself. If you have been in a car accident and you or anyone else has been injured, call 911 right away. It is crucial to get medical attention. EMTs should arrive quickly and assess the injuries. If necessary, they will take you and/or the injured parties to the nearest hospital. In an accident at high speed and great impact, often the airbag will deploy. These devices have saved many lives by cushioning the driver and passengers against hard contact against the windshield or dashboard. While it may save your life, sometimes the airbag itself may cause injury. Turn off the car if the airbag has not already caused it to shut off. If you are trapped in any way, wait until help arrives to extract you from the vehicle. Photo documentation can be very helpful later if you can obtain it immediately after the accident. This can be easy to forget if you are hurt and in shock. If you remember to do so, take as many photos as you can with your cell phone. You can also ask another passenger or even a witness to do so. You want to document road conditions (broken street lights, potholes, rain, etc). You want to show what your car looked like immediately after the accident. You might even want to take photos of yourself and your injuries. If you are taken to the hospital, make sure you get copies of all medical records. You will want the doctors’ notes, prescriptions, x-rays, and any other documentation of your injuries. If you decide to pursue compensation for your injuries, you will need to provide evidence of what you have suffered. It helps also to have a doctor’s opinion on the lasting damage you may have incurred, how long it will last, and what it prevents you from doing. Let your insurance company know right away if you have been hurt in a car accident. Your insurance card should have a 24-hour contact number on it that you can call to initiate a claim. The insurance company will be an important part of the process of getting your car fixed and, if necessary, paying for your medical care. If a lawsuit is initiated, your insurance company’s lawyers may need to get involved. If you have suffered an injury in a car accident, it is recommended that you obtain representation by an accident attorney. Even if your insurance company is handling the legal aspects, sometimes you need to have an attorney looking out for your rights alone. If another party was injured, you may need an attorney to represent you against any allegations of contributory negligence or fault. If you were drinking or on prescription medication prior to the crash, you may need an attorney to defend against any criminal charges. If the accident was due to a product defect in your car or the other person’s vehicle, an attorney may help you in seeking compensation from the manufacturer. If the accident could have reasonably been prevented by better signage or lighting, an accident attorney can advise whether you may have a cause of action against the city or the property owner. If you have been hurt in an accident involving another driver, refrain from speaking with them. You may have to check whether they are OK and exchange insurance information, but do not get in an argument over whose fault it was. And do not apologize or say sorry: this admits fault and can be used against you in court. Although it is upsetting to experience a crash, don’t make it worse by yelling at the person who hit you. Emotions are already running high enough. After seeking immediate medical attention, you may be sent home, depending on the severity of the injury. Take it easy for a while. You may have injuries that surface a few days after the incident, like back or neck pain. You may have delayed reactions due to shock. You may experience psychological symptoms like insomnia, anxiety, and panic attacks. Stay home from work until you feel well enough to return. Make sure you give yourself time to assess the full extent of your injuries and get on the path to wellness. If you are docked your pay, you may be able to include lost wages in any lawsuit you file. 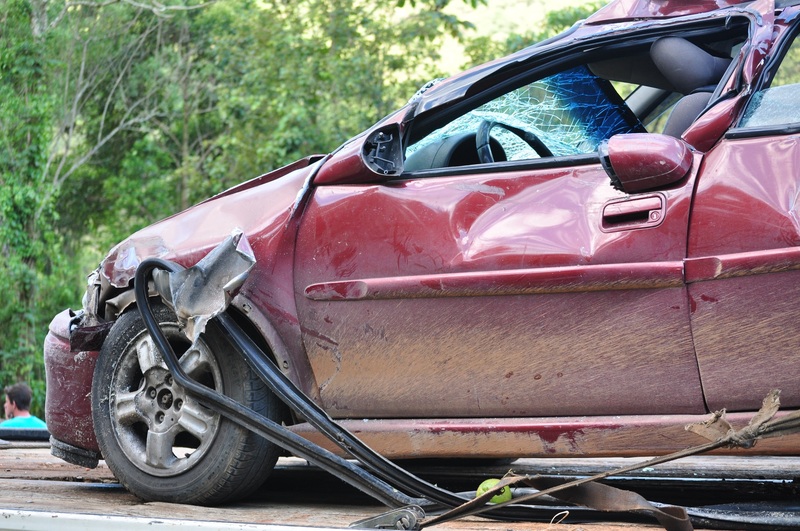 Suffering a traumatic impact like a car accident can have a dramatic effect on your thinking. If you have a concussion, you may actually black out. In the minutes after the crash, there may be a lot of confusing activity, so it may be difficult to know what is going on. Once you are physically safe and taken care of, try to get your memories down on paper. You can also tell a loved one what happened. Time can play with memory, so it is good to record memories right away. Later on, you may need to describe your memories of the accident. You will have more reliable recall if you have contemporaneous notes to look at. Make sure you continue to receive medical treatments for any injuries that may arise after the accident. The lasting effects of the crash may impact your ability to work, be an attentive spouse, and enjoy your life. Your doctor will be able to give your lawyer an assessment of the many ways your life was hurt by the accident if you decide to try to pursue a lawsuit. By staying as calm as possible after an accident, you will hopefully avoid making a bad situation worse. And by asking for help from professionals, you are better able to get back to life as it was before the accident. Doctors will help you physically recover. 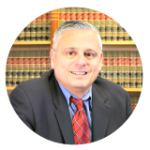 A good accident attorney will help you recover financially so that you can try to get your life back to close to what it was before. For more information on what to do if you are hurt in a car accident, contact us.